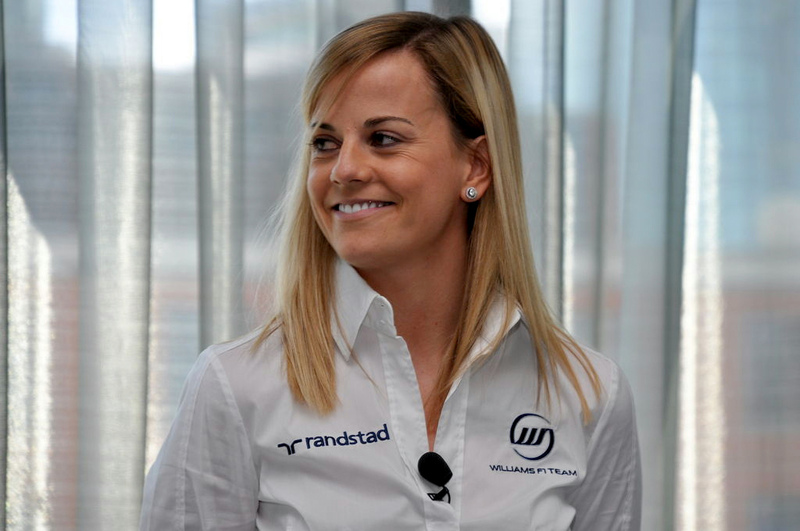 Williams name Susie Wolff as their Official Test Driver for the 2015 season. Susie Wolff will be driving the Williams Mercedes FW37 and promoted as an official test driver for formula one campaign next season. She is a British racing driver from Scotland who started her career in Karting, then moving up to Formula Renault and Formula Three. In 2012, she was signed by the Williams Formula One team to work as a development driver. She will be driving for the first two practice sessions at grand prix in next year’s Williams FW37. She will also be conducting testing of the FW37 and FW38. She has been the part of the team for the past three years as a development driver and made her practice debut at this year’s British Grand Prix. In 2014, Wolff was the first woman to take part in a Formula One race weekend in 22 years, at the British Grand Prix, at Silverstone. Wolff is the first female driver to drive in a grand prix weekend for two decades. “This is another step in the right direction for me,” she said. “I am delighted Williams are recognising my progression, hard work and that it is performance that counts. Williams is at a very exciting stage in its history and we are moving into 2015 with fantastic momentum, I’m proud to be part of the team. I’ll be using my position to work closely with Felipe and Valtteri to make sure that the FW37 builds on the strong performance shown by the FW36,” she added. Claire Williams, deputy team principal of Williams, added; “We are delighted to have Susie continuing with the team next season in this new role. She continues to impress us with her strong technical knowledge, the feedback she delivers and the performance when she drives the car both on the track and in the simulator. Williams ended this season third in this year’s Constructors’ Championship after finishing ninth in 2013.